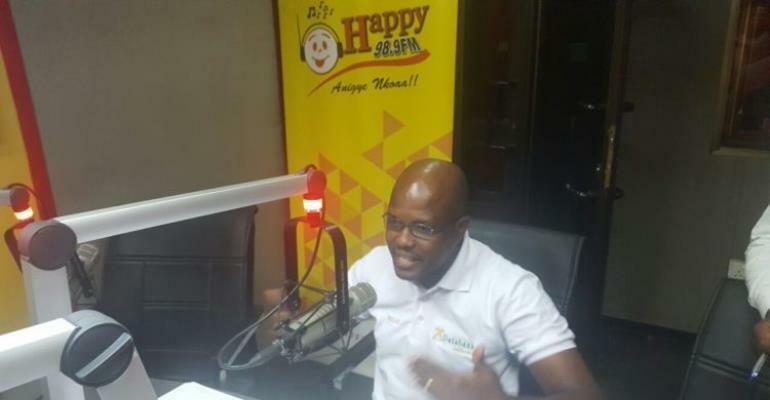 The Chief Executive of Databank Group, Kojo Addae-Mensah has pledged to apologize to Aduana Stars if they qualify for the next phase of the 2018 CAF Champions League but have insisted that they were not worthy champions of last season's Ghana league. After the Fire Boys won the 2016/17 Ghana Premier League, the astute Asante Kotoko supporter disclosed that the Dormaa-based club did not deserve to win the championship due to the negative tactics deployed to intimidate teams at the Nana Agyemang Badu Park during the campaign and tipped the Fire Boys to exit the Champions League at the first stage of the preliminary round, which he believed the alleged adverse tactics they used in the league will not yield in the competition. However, Mr Addae Mensah seems repented as he vowed he'll apologize to the club should they qualify past the first stage ahead of their second leg against Libyan side Al Tahaddy at the Nana Agyemang Badu II Park on Wednesday. "I stand by my position that WAFA was the best club in last season's Ghana league," Kojo Addae-Mensah told Happy FM. "But I think we should all support Aduana stars because they're representing Ghana in Africa." "Knowing Aduana stars when playing in Dormaa, I doubt if Al Tahaddy can survive." "If Aduana stars go pass the group stages, I will apologize to them," he deduced. Aduana will go into with a 1-0 deficit after losing the first leg in Egypt a fortnight ago.